The none-too-subtle implication, of course, was that Account-Based Marketing (ABM) isn’t new, and that B2B marketers have been developing, and executing, Account-Based Marketing strategies and programs for some time, if only in different forms and under a different name (e.g. Target Account Campaigns). Which is true, sort of. What is new about ABM, of course, is not the principle of account-based marketing per se, but rather the technologies that now enable us to target individual accounts, and decision-makers, with an efficiency, and at a scale, that hasn’t been possible until now. Nonetheless, the question got me thinking about the ABM phenomenon, and how quickly it has come to dominate the B2B marketing landscape, in coverage, if nothing else. In what seems like only a year or so, ABM has transformed from an abstract notion into what some studies are already calling the #1 priority for B2B marketers. And that disturbs me, to tell the truth. Not because ABM isn’t a worthwhile investment, or that it can’t be effective. But the fact that it has risen to such prominence, so quickly, says as much about what I’ll call the “marketing hype cycle” as it does about ABM on its own merits. Say what you want about us marketers, we love our bright shiny objects. One day that object might be predictive analytics, the next, it’s programmatic advertising. Right now, it’s ABM. If other marketers are using it, or even talking about it, we want in. We love anything that’s new, or different, or that might be the next “silver bullet” we need to attain a competitive edge. 1. Marketers start to talk, and ask, about ABM. 2. Marketers see a new hot topic to write about, and so produce content about ABM. 3. Martech companies re-brand themselves as ABM-enabling technologies. 4. Thought leaders magically brand themselves ABM experts. 5. More marketers start to talk about ABM. Should ABM be your top marketing priority for 2016? Maybe, maybe not. Our agency works with a range of B2B companies in the technology sector, and, depending on such factors as 1) target audience, and 2) average deal size, ABM may or may not be a great fit for any one of those clients. It’s the rare company, in my view, that should consider abandoning a more balanced, integrated go-to-market strategy – one that continues to rely on inbound marketing and other, more established channels – in favor of an “all in” account-based approach. Should you care about ABM, however? Absolutely, you should. It’s a significant development in the evolution of B2B marketing, and one worth evaluating in the context of your companies’ objectives, audience, and sales model. But the fact that every other tweet, post, article, Webinar and white paper is about ABM doesn’t make it a slam dunk for everyone. This entry was posted in Account-Based Marketing, B2B Marketing, Campaign Strategy, Demand Generation, lead generation, Marketing Automation, Marketing Technology and tagged ABM, Account Based Marketing, B2B Marketing, Content marketing, engagio, inbound marketing, marketing hype, marketing technology, martech, predictive analytics, programmatic advertising on March 15, 2016 by Howard Sewell. I couldn’t agree more. The people selling ABM are some of the best marketers in the business, so their ability to create interest shouldn’t be surprising. 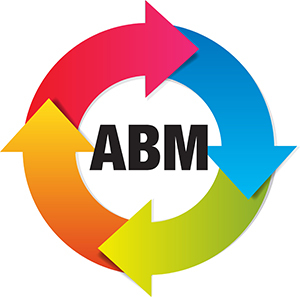 In terms of what’s new about ABM, I’d say it ABM gives marketers an account-based focus they previously lacked. That’s especially good because it matches the way sales organizations have always thought. But ABM really uses most of the same tools as other types of B2B marketing, so it’s more a change of focus than a radical change in how marketers work. Certainly I wouldn’t expect anyone to “abandon” traditional marketing in favor of ABM.